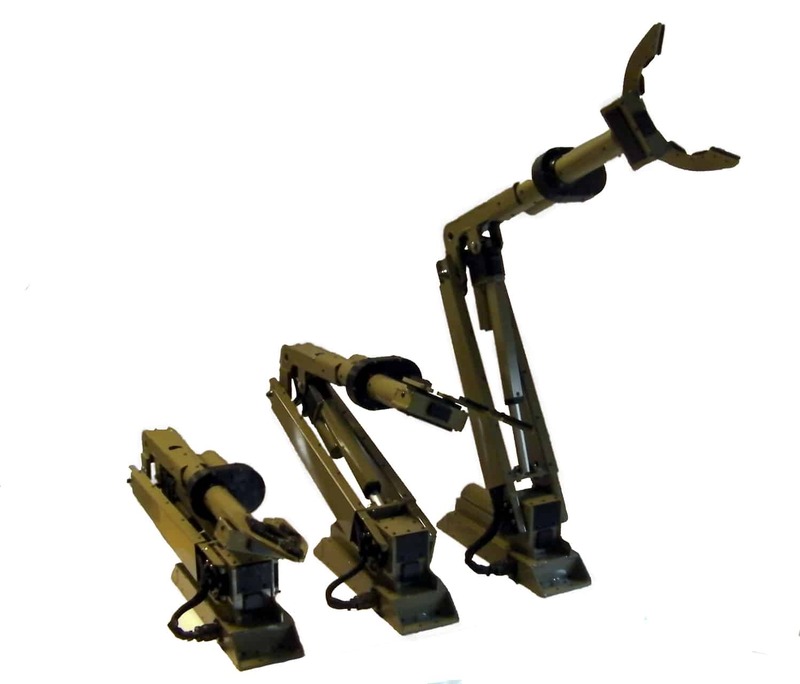 These custom arms were built from a customers requirements. All three arms are identical and include all the controls, feedback, etc in a self contained IP54 rated assembly. The arm is connected to via a Amphenol Connector. The arm includes humidity sensing of internals, current sensing of each joint, position monitoring of the shoulder, elbow, and wrist.